NIGHTWISH keyboard player and main songwriter Tuomas Holopainen comments: "There's a kind of scientific approach to a lot of things on the album. Songs like 'Shudder Before The Beautiful', 'Endless Forms Most Beautiful', 'The Greatest Show On Earth' and 'Alpenglow' all somehow reflect the bliss of existence. It's temporary character. Evolution… Maybe you could even talk about the poetic nature of science. Natural science and its paradigm seem to represent something cold and boring to a lot of people. Hopefully we can illustrate with this album — that science can even be something profoundly spiritual." 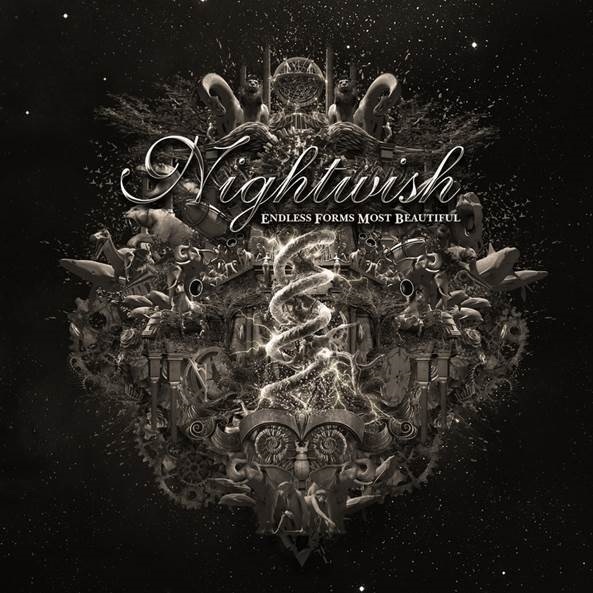 NIGHTWISH's new video, "Èlan", can be seen below. The clip was shot in Finland at various locations between September and November 2014, and it was directed by Ville Lipiäinen. Longtime NIGHTWISH drummer Jukka Nevalainen sat out the recording sessions for "Endless Forms Most Beautiful" due to health issues; Kai Hahto (WINTERSUN, SWALLOW THE SUN, TREES OF ETERNITY) replaced him.